April 2019: Many of my clients ask me how to go about determining a special sign from their loved Ones, so I’m raising this personal story from 2013 to the top once again. I’ll be adding some photos to the end of the post over the next week to show some of the unique ways in which my sister Laura has shown me that she’s listening. December 2013: Many of you knew my sister, Laura. She was the one with the ready smile, a big hearty laugh, and a zest for life. Always ready for an adventure with a mischievous look in her eye, and a “let’s do it” attitude. I haven’t written much about Laura here on my blog. Why? I’m not sure. Perhaps her passing is still too fresh, too personal, too heart-wrenching to commit to writing. But it’s time, and the story I have to tell is a good one, so I hope you enjoy it. Laura lived in Minnesota, where I grew up and where most of my family still resides. Sometimes Laura and I would speak several times in a day on the phone, and then there were times when we’d get busy with our lives, and not get around to checking in for several weeks. 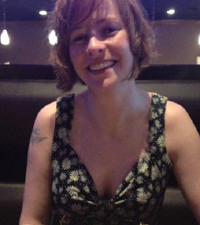 So, it’s fair to say she wasn’t a constant in my daily life, and as a result, when Laura passed into Spirit suddenly in July 2011, it took a long time for it to truly sink in that she was no longer a phone call away. Perhaps you’ve experienced it: something exciting happens in your life and you want to share it with your sister, your brother, your parents, your friend. You pull out your phone to call them and suddenly you remember…oh, that’s right. She’s gone. He’s gone. They’re gone. And you feel that rush of hurt and surprise tinged with grief, all over again. That’s how it’s been with Laura and me until recently, really. This story is actually an addendum to The Story of Bobby and Gail, a post from last month. I delivered the Story of Bobby and Gail as a lecture at my church the Sunday before the post went up. As I expected, it was received with love and compassion by the congregation. Afterward, a number of people approached me about helping them find a system to work with their Loved Ones in Spirit and I realized how powerfully important that message of a personal communication system with Spirit really is. That very night, as I was reflecting on the amazing string of communications from Bobby to me and then to Gail, I started thinking about all the various systems or forms of communications that have come through from my Loved Ones in Spirit as well—many of which I’ve outlined in various of my posts: Marbles from Merle, The Story of Susie, Hi Honey!, The Gift of Christmas Past, to name a few. That’s when it occurred to me: I did not yet have a specific sign or system of communication with Laura! I knew she was around me and I had received messages from her through other mediums, but I decided that we needed something special, something just between us, like Bobby and Gail had. So I spent a few minutes tracing back through songs, poems, sayings, flowers, colors, etc., anything that might be significant and meaningful for us both. The very next morning, the contractor overseeing exterior renovations on my house alerted me to the fact that we were going to be short a few lengths of window molding and “would I have time to go to Lowe’s and get more?” Well, to be honest, I wasn’t particularly pleased about this request. Lowe’s was about 30 minutes drive in each direction, so there goes my morning, but what was I gonna do? Stop the construction? Uh…no. So, off I went. I quickly found the molding and was heading to checkout when I recalled that I still needed a metal floor strip, the kind that seals the floor between two types of flooring. So, I headed over to the nearest sales person and described what I was looking for. He led me across the warehouse and left me to select what I needed from an array of products. I found what I needed, added it to my cart, and as I turned around to head back to checkout, the display of mirrors caught my eye. 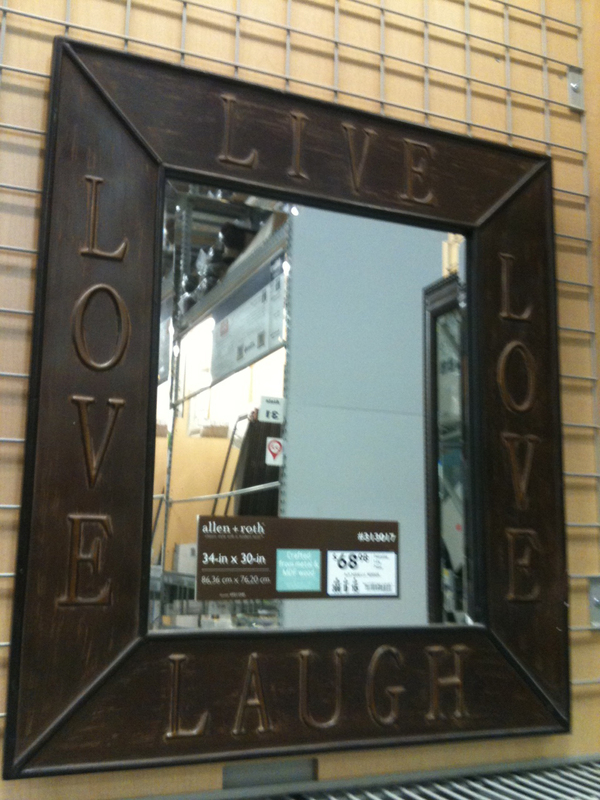 Not just because I love to linger over home decor items…but because of what was on the frame of the mirror that had been hanging up directly behind me: Live, Love, Laugh. I hid out there in the far corner of the Lowe’s warehouse for a little while, taking in the power of the moment and literally trying to pull myself together! I thought about all the things that needed to happen for such a synchronous event…moving forward and backward in time, trying to figure out how it could have unfolded in the way it did. It’s frankly mind-boggling. I keep coming back to the realization that we’re barely tapping the potential for Spirit Communication; I believe we still have much to learn in this area. All that really matters though, is that we simply relax into the knowing that our Loved Ones hear us, see us, and will do all that’s in their power to demonstrate to us that they walk beside us when we ask them to. Last week was the birthday of Laura’s only daughter, Sarah, who is also quite spiritually “connected.” I knew that Sarah had set up her own system with her mother after reading The Story of Bobby and Gail, so I checked in to see what might have happened on her birthday. It was a perfect, really. 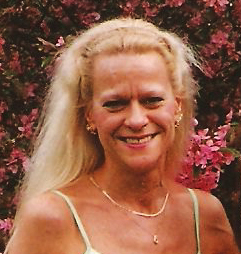 Laura had a degree in culinary arts and loved to cook. So coming through to Sarah while she was cooking drew on the energetic connection they shared. Laura also worked at Kraft foods most of her career, and macaroni and cheese was, well, an obvious tie-in! As I write this, I can see Laura’s bright smile, hear her laughter ring in my ears and feel her warm sisterly love surround me. “Live, Love, and Laugh!” she says to me. With the holidays upon us, and preparations demanding more and more of us every year, Laura’s message is a timely reminder to us all of the truly important things in life: live your life to the fullest, love with all your heart, and let laughter be your healing balm. for others. And now of course, the “Forever” has a very different meaning. Wall Decor: I saw this while shopping. I was rounding an aisle end and there it was. I didn’t buy it; it was enough to know she heard me. That was beautiful. Thanks for sharing…be in touch soon…. I just love when our loved ones (including pets) let us know they are still around. That brought tears to my eyes Renee. I love reading your stories. I met you some 43 (shhh…you were like in utero) or so years ago through Laura. So much to talk about. You’re the best Nene. Thanks for commenting. The post is always here on my website. You can search using the search box, or from the home page, just scroll down and you’ll see it. Renee: That’s a very wonderful and powerful sign that your sister Laura gave you. I know you miss Laura very, very much. Love this story. Thank you, Renee. xoxox.